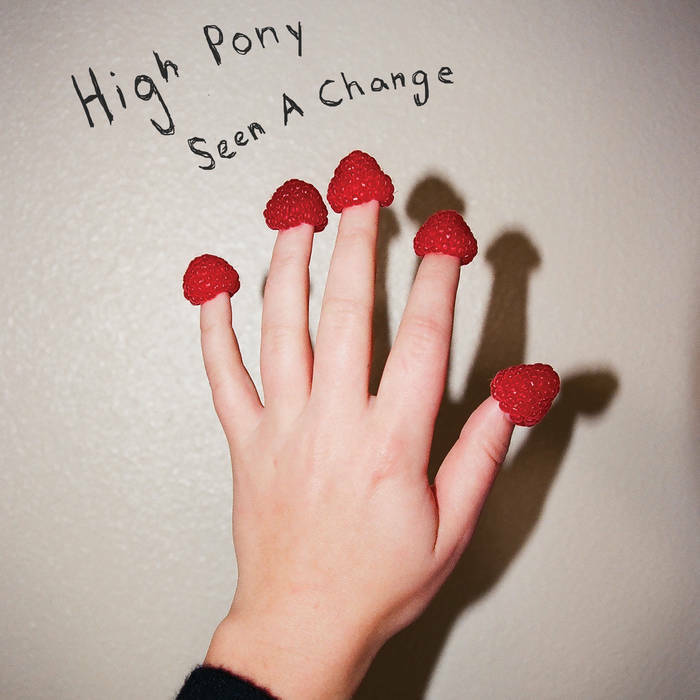 In the grand tradition of bands that combine raw and shaky vocals with blistering guitars that offer their own sense of longing (Modest Mouse, Built to Spill), High Pony's debut album Seen A Change embraces that unpredictability in spades. The Brooklyn based quartet are set to release their record this Friday, December 1st, an album that's full of twists, turns, yelps, and warbling aggression. Built on twang and focused feedback, High Pony's twitchy sound captures the emotions of a hard fought fresh start after a lengthy time of poor choices. It's an album that swirls with redemption, one colossal guitar riff at a time. "My Friends Don't Live" sets the tone from the start, a wild and immediate track that follows its own raw path of rapid succession hooks. "Not Yet," the record's stand out track, is an enormous blast of fuzzy guitars and introspective melodies, a song that takes its time to unwind with a slow dusty introduction. The vocals are calm and fragile, shifting together with sparse rhythm, careening headfirst into an explosively distorted solo. The intensity ebbs and flows, veering into a punchy hook that would make Modest Mouse blush, before crawling back into the twangy calm. It's a massive example of all High Pony are capable of in their own sprawling glory. "Afraid To Leave," the album's lead single, ups the Americana intensity, a warm ripper about taking the time to sort through your issues. It captures the band's dynamics with creeping falsettos, howling fury, and a sludgy bridge that holds no punches. Seen A Change is a confident debut, a record both ragged, remorseful, and intrinsically hopeful. High Pony's Seen A Change is out Friday, December 1st. The band will celebrate the release on Saturday, December 2nd at Brooklyn's King Killer Studios with Two Inch Astronaut and Yazan. The $5 cover gets you into the show and a copy of the LP, don't miss out.